Blended Hourly Rates – For some matters, Kier Joffe may agree to bill the same rate for all lawyers who work on a client’s matters, regardless of each lawyer’s level or individual billing rate. Blended rates are determined on the basis of work we expect to be provided for a matter and the billing rates of those lawyers we anticipate will work on the matter. Straight Fixed or Flat Fees – Kier Joffe is willing to provide some services for a set fee. This fee could cover a particular matter (e.g., a fixed fee for all work provided on an internal investigation) or a particular service (e.g., a flat fee for consulting services provided on a monthly basis). Fixed fees typically are set for individual matters or for an entire portfolio of matters, and may cover the entire life of a matter or be limited to a specific period of time or a particular task. Under such a collaring arrangement, Kier Joffe and the client would agree that if the hourly value of our firm’s lawyer time expended on a matter falls considerably outside the fixed fee (or pre-agreed upon budget), we will share the fee upsides and downsides with each other. Monthly Access and Advice Retainers – Although this is a variation of the straight fixed fee approach described above, an advice and access retainer has benefits that warrant further explanation. This approach makes sense in situations where a client wishes to be proactive in seeking legal advice to avoid legal exposure, but does not want to pay for expensive legal research every time a potential legal issue arises. This arrangement offers clients ready access to relatively inexpensive legal advice and offers Kier Joffe the chance to add value to the client. We are able to help distinguish early on between those situations that are easily dealt with and others that, unaddressed, might expose the company to significant liability. This approach could be implemented in a variety of ways. For example, the arrangement may be based on fixed fees, where Kier Joffe charges a fixed fee for each matter phase. Another approach that might be taken would require the client to pay an estimated (budgeted) fee for each phase with a rationalization against actual billings at agreed-upon times, e.g., quarterly, annually, or when the matter is concluded. Fee Holdbacks – In certain situations, Kier Joffe can hold back an agreed-upon percentage from its monthly billings. In return, we will have the opportunity to earn and be paid the full holdback amount at the client’s discretion. Whether we earn back all or some of the holdback amount will be based on the client’s assessment of our performance against certain predetermined criteria, e.g., work quality, results, creativity, efficiency, cost-consciousness, collaboration with other outside counsel, and effective utilization of the client’s own resources. In these situations, the criteria are established up front. The client’s holdback determinations could be made annually or when the matter concludes. A fee holdback arrangement could be applied to a litigation or transactional matter. Success Fees – Under this arrangement, Kier Joffe would be eligible for a success fee or premium in addition to its prior billings, in the form of a performance bonus at the client’s discretion. A success fee can be a set fee, a graduated fee according to a mutually developed schedule, or a percentage of our billings. As with a holdback, whether we earn a success fee will be based upon the client’s evaluation of our performance against predetermined criteria. Traditional Contingency – Under a traditional or full contingency arrangement, Kier Joffe will defer its fees entirely in exchange for receiving an agreed upon portion of the client’s ultimate recovery. Typically, the client pays the expenses of the litigation. Reverse Contingency – A reverse contingency fee is based on how much the firm saves the client as a defendant. If we are able to resolve a matter for less than the exposure attributed to it by the client (or reduce the client’s reasonable exposure through dispositive motions), then the fee would include an agreed-upon percentage of that savings to the client. Hybrid Fee Arrangements by Matter Phase – In certain situations, the billing arrangement that makes the greatest sense is a combination of several arrangements described above. For example, Kier Joffe could estimate fixed fees for some matter phases, holdbacks on hourly rates for other phases, and success fees for other phases. “Frequent-Flyer” Credits toward New Legal Services – Kier Joffe may agree to provide a significant reduction in fees for one matter in exchange for the client’s commitment to assign other matters to us in different areas of the law where we have not yet served the client. This could take the form of a discount on the instant matter, a credit against future billings for the new area, or some combination. This entry was posted in News on June 25, 2013 by Elias Kier Joffe. Do You Need an Buenos Aires debt collection Attorney? Deciding whether to hire a Buenos Aires debt collection attorney is an important decision. The first issue is whether you need a Buenos Aires debt collection attorney. The involvement of a Buenos Aires attorney who is experienced in debt collection international cases will provide to the client with a full understanding of their rights and responsibilities. An experienced debt collection attorney can also help to avoid future legal problems that may arise. You must be sure that your philosophy of how to handle your debt collection case matches that of your attorney; both of you need to be on the same page. It is important that you ask questions and gather information which reveals the attorney’s philosophy for handling cases. Selecting the right debt collection attorney for your case will help you get through legal problems with the least amount of time, stress and money. Once you have selected a debt collection attorney to meet with, the next thing you should do is look into that attorney’s experience and background. The best way is to search the Internet: Do a Google search on your attorney. Look for a legal blog, a website, news stories quoting or featuring the attorney, and other online information. Now that you have selected a debt collection attorney to interview and have done research on him or her, the next step is to contact the attorney’s office and schedule an appointment. Contact the debt collection attorney’s office by telephone or e-mail and request an appointment or a Video/Call Conference. When you do this, it is important to tell the attorney’s office that you would like to discuss a specific type of debt collection case. Take careful note of how quickly your message is answered. Your inquiry should always be answered promptly. If the attorney you contacted cannot manage to reply to a potential new client who is bringing him or her a new case and therefore new fees, that fact should tell you something about how he or she will behave once he or she already has your money. The proven Buenos Aires debt collection attorney at the Kier Joffe attorney have experience working with foreign clients involved in all kind of international cases in Buenos Aires. Buenos Aires Buenos Aires attorney professionals are knowledgeable in almost all the practice areas of law, to service its international cases in Buenos Aires Buenos Aires. International clients will have the confidence of knowing that the case is being handled by an experienced and knowledgeable Buenos Aires attorney in Buenos Aires. This entry was posted in Blog on June 22, 2013 by Elias Kier Joffe. Do You Need an Buenos Aires Trusts Estate attorney? Deciding whether to hire a Buenos Aires Trusts Estate attorney is an important decision. The first issue is whether you need a Buenos Aires Trusts Estate attorney. The involvement of a Buenos Aires attorney who is experienced in Trusts Estate international cases will provide to the client with a full understanding of their rights and responsibilities. An experienced Trusts Estate attorney can also help to avoid future legal problems that may arise. You must be sure that your philosophy of how to handle your Trusts Estate case matches that of your attorney; both of you need to be on the same page. It is important that you ask questions and gather information which reveals the Law firm’s philosophy for handling cases. Selecting the right Trusts Estate attorney for your case will help you get through legal problems with the least amount of time, stress and money. Once you have selected a Trusts Estate attorney to meet with, the next thing you should do is look into that Law firm’s experience and background. The best way is to search the Internet: Do a Google search on your attorney. Look for a legal blog, a website, news stories quoting or featuring the attorney, and other online information. Now that you have selected a Trusts Estate attorney to interview and have done research on him or her, the next step is to contact the Law firm’s office and schedule an appointment. Contact the Trusts Estate attorney’s office by telephone or e-mail and request an appointment or a Video/Call Conference. When you do this, it is important to tell the attorney’s office that you would like to discuss a specific type of Trusts Estate case. Take careful note of how quickly your message is answered. Your inquiry should always be answered promptly. If the attorney you contacted cannot manage to reply to a potential new client who is bringing him or her a new case and therefore new fees, that fact should tell you something about how he or she will behave once he or she already has your money. The proven Buenos Aires Trusts Estate attorney at the Kier Joffe attorney have experience working with foreign clients involved in all kind of international cases in Buenos Aires. Buenos Aires Buenos Aires attorney professionals are knowledgeable in almost all the practice areas of law, to service its international cases in Buenos Aires Buenos Aires. International clients will have the confidence of knowing that the case is being handled by an experienced and knowledgeable Buenos Aires attorney in Buenos Aires. This entry was posted in Blog on June 19, 2013 by Elias Kier Joffe. Whether you are a buying or selling a house, or own property like a condo, single family residence, or commercial criminal estate, a Argentina criminal estate lawyer may help, but not every lawyer will be right for you. Do You Need a Argentina Criminal Estate lawyer? Deciding whether to hire a Argentina criminal estate lawyer is an important decision. The first issue is whether you need a Argentina criminal estate lawyer. For many people, the purchase or sale of a home in Argentina is the most important legal matter in which they will be involved. Purchasing a residence is usually the single most expensive investment a person will make. The documents involved in the transaction for both the Buyer and the Seller carry far reaching legal effects. It is most prudent for the parties to each consult and retain an lawyer to review the documents to adequately protect the rights and interest of both Buyer and Seller. The involvement of a Argentina lawyer who is experienced in criminal estate transactions will provide each party with a full understanding of their rights and responsibilities. An experienced criminal estate lawyer can also help to avoid future legal problems that may arise if either Buyer or Seller is not fully aware of the legal effects of the criminal estate transactions. Indeed, Argentina criminal estate lawyer help you when you have criminal estate problems like a dispute with the homeowner’s association or noise from neighbors, recording issues involving your deed (e.g., an easement or encroachment), or your mortgage (e.g., a lien or mortgage fraud). You must be sure that your philosophy of how to handle your criminal estate case matches that of your lawyers; both of you need to be on the same page. It is important that you ask questions and gather information which reveals the lawyer’s philosophy for handling cases. Selecting the right criminal estate lawyer for your case will help you get through legal problems with the least amount of time, stress and money. Once you have selected a criminal estate lawyer to meet with, the next thing you should do is look into that lawyer’s experience and background. The best way is to search the Internet: Do a Google search on your lawyer. Look for a legal blog, a website, news stories quoting or featuring the lawyer, and other online information. Now that you have selected a criminal estate lawyer to interview and have done research on him or her, the next step is to contact the lawyer’s office and schedule an appointment. You can learn a lot about how your lawyer will behave if you retain him or her just by how he or she handles the simple but important task of scheduling a meeting with you as a potential new client. Contact the criminal estate lawyer’s office by telephone or e-mail and request an appointment. When you do this, it is important to tell the lawyer’s office that you would like to discuss a specific type of criminal estate case. Take careful note of how quickly your message is answered. Your inquiry should always be answered promptly. If the lawyer you contacted cannot manage to reply to a potential new client who is bringing him or her a new case and therefore new fees, that fact should tell you something about how he or she will behave once he or she already has your money. The experience of meeting your criminal estate lawyer at his or her office is critical to determining whether this lawyer is a good fit for you and your special case. An lawyer’s office is, in effect, his or her professional home. And the rules that apply to a lawyer’s professional home are the same as those that apply to your own home. So, you should pay careful attention to what you see and hear in your lawyer’s office. 2. Is the office neat and clean? This tells you something about how organized and focused the criminal estate lawyer is. If the office is a mess and there are papers and files everywhere, imagine how that will affect the lawyer’s ability to find your file and deal with your case at critical moments. 3. How does the lawyer and his or her employees behave towards you and each other? It is important to observe how the criminal estate lawyer’s staff treats you and each other during your visit. What you see when you are there is likely to be their best behavior. If you are not well taken care of during your visit or you observe inappropriate behavior during your visit, you can be certain this conduct will get worse once you are a client of the firm and the lawyer has your money in hand. Preparing for your interview with your criminal estate lawyer will help you make a better and more informed decision. You should organize discussion topics prior to meeting and bring with you any relevant paperwork. Your criminal estate lawyer may need some of the documents you bring with you so be prepared and retain copies for your own records. If you can, you should write down dates and times of events, the names and addresses of any witnesses and any other important facts. You should try to understand that criminal estate lawyers have professional and ethical commitments to all of their other clients, so you should expect your interview to last about 30-45 minutes on average. 1. How much experience do you have with criminal estate cases like mine? 3. What other types of criminal estate cases do you handle? 8. How long does a criminal estate case like mine usually take if there are no unusual developments? While you are interviewing a Argentina criminal estate lawyer, you should listen carefully to the answers provided. You should also pay extremely close attention to your lawyer’s personality, his or her manners and behavior, and how you feel during the interview. How does the lawyer make you feel? Comfortable? At ease? Are you treated as an equal and with respect? Or do you feel like the criminal estate lawyer has a superior attitude and talks down to you? Has the lawyer spent meaningful time with you and provided answers to your questions and concerns in a friendly and appropriate manner? How you feel about your criminal estate lawyer and how he or she behaves towards you will have an affect on your ability to trust and communicate effectively with that person over emotional and highly personal matters. Once the interview is over and you have time to reflect, assess the strengths and weaknesses of the candidate. Did the criminal estate lawyer listen to you? Did the lawyer provide enough information to make you feel comfortable that they know the law and procedure? Did you feel confident? Once you have gone through all of these steps, you now have the information and experiences necessary to decide which criminal estate lawyer best suits your needs. The proven Argentina criminal Estate lawyers at the Kier Joffe lawyer have experience working with foreign clients involved in all kind of cases in Argentina. Argentina Argentina lawyer professionals are knowledgeable in almost all the practice areas of law, to service its international cases in Argentina Argentina. International clients will have the confidence of knowing that the case is being handled by an experienced and knowledgeable Argentina lawyer in Argentina. This entry was posted in Blog, News on June 17, 2013 by Elias Kier Joffe. Do You Need an Buenos Aires Probate Estate Attorneys? Deciding whether to hire a Buenos Aires Probate Estate Attorneys is an important decision. The first issue is whether you need a Buenos Aires Probate Estate Attorneys. The involvement of a Buenos Aires Attorneys who is experienced in Probate Estate international cases will provide to the client with a full understanding of their rights and responsibilities. An experienced Probate Estate Attorneys can also help to avoid future legal problems that may arise. 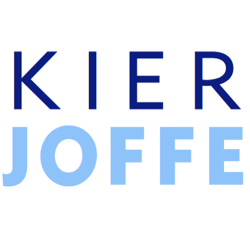 The proven Buenos Aires Probate Estate Attorneyss at the Kier Joffe Attorneys have experience working with foreign clients involved in all kind of international cases in Buenos Aires. Buenos Aires Buenos Aires Attorneys professionals are knowledgeable in almost all the practice areas of law, to service its international cases in Buenos Aires Buenos Aires. International clients will have the confidence of knowing that the case is being handled by an experienced and knowledgeable Buenos Aires Attorneys in Buenos Aires.